9 When Jesus rose early on the first day of the week, he appeared first to Mary Magdalene, out of whom he had driven seven demons. 10 She went and told those who had been with him and who were mourning and weeping. 11 When they heard that Jesus was alive and that she had seen him, they did not believe it.12 Afterward Jesus appeared in a different form to two of them while they were walking in the country. 13 These returned and reported it to the rest; but they did not believe them either. 14 Later Jesus appeared to the Eleven as they were eating; he rebuked them for their lack of faith and their stubborn refusal to believe those who had seen him after he had risen. Today we come to the end of the Gospel of Mark. For many weeks we have been walking through the Gospel, seeking to understand more about those radical ideas that Jesus was asking of his disciples and by translation asking of us today. The scripture lesson for today are segments of the last chapter of Mark — the time of the trial of Jesus – the condemnation of Jesus and the crucifixion of Jesus. We also read a short version of the resurrection story along with the few appearances of Jesus after the resurrection. There are two segments that I want us to look at this morning — Mark 14:50 —.” 50 Then everyone deserted him and fled. And Mark 16: 20 —20 Then the disciples went out and preached everywhere, and the Lord worked with them and confirmed his word by the signs that accompanied it. I think that these two scriptures clearly speak to us as we walk by faith with Jesus in our life today. They all left Him and fled. Remember that these are the same men who just hours before had been fighting amongst themselves over which one would be sitting at the right hand of Jesus. These men were the disciples of Jesus who had declared wholehearted allegiance and undying loyalty. Then they left the lighted upper room where they shared the Passover – and entered the shadows and challenges of the cross. The world that we live in is full of broken promises. We pledge to do one thing and then we do something else. We make a commitment to another person and then decide at the last minute that I cannot continue — we leave people wondering about our faithfulness to our word. At the Westminster Rescue Mission, we remind the men – that Godly men and women are faithful to their world. The can be trusted. Some of the men have a very hard time of adjusting to this understanding of faithfulness. In reality, our faithfulness waxes and wanes. Our commitment often falters – and our best intentions go awry. The ultimate broken promise walks in the shadows in the heart of Judas as were read several weeks ago. One who had walked with Jesus for so long – for three years he had seen all that the other disciples had seen – but his heart was far from God. These disciples walked in the shadows of Gethsemane not because of the darkness around them but because of the darkness within them. They had to be consumed with fear, uncertainty, and many questions that were coming forth. Even today, we walk in the shadows not because of the darkness around us but because of the darkness within us. Deep down there is fear for the future – there is uncertainty about our health and a deep sense that we are growing older – what do we do? Something has gone wrong deep within us. Remember the old saying— that when the going gets tough, the tough get going. Obviously, the disciples did not know this saying – especially at the time of the arrest of Jesus. All those claiming to be tough enough to handle whatever comes –reverse themselves and flees from Jesus. Away from their previous commitments. 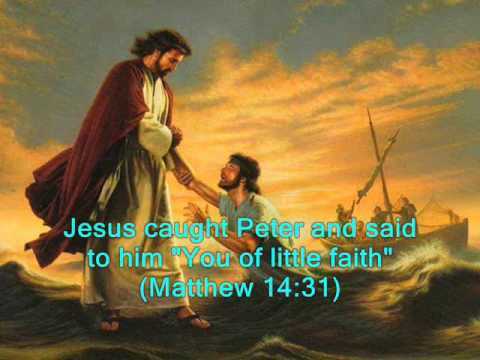 With great bravado Peter had boasted, “Even if I have to die with you, I will never disown you.” Peter was willing to fight for Jesus, so he said at one moment and then when the going got tough. He was not willing to support Jesus. James and John had boasted, “We can drink any cup of suffering you drink, Jesus. Bring it on!” And they disappeared into the night. We never know for certainty how we would react in a crisis until the crisis comes. Judas will try to create a crisis to force Jesus’ hand. He reacts to impending crisis by developing his own scheme, without regard for the safety of Jesus. One of those present at the arrest of Jesus brought a sword. He is ready to fight and does. But he is not ready to deny his own impulsive reactions and take up his cross. Many people would take up a sword but rare is the person who will lay down his sword and pick up a cross and fight for what is right and just. Eleven apostles scatter into the shadows. They run not so much from fear of the Romans as they do from the disillusionment of trying to follow a Messiah who will not fight. Some call the actions of those disciples’ cowardice. It seems more like the bewilderment of disillusioned and confused disciples. It is easy to criticize those disciples for their running away and deserting Jesus. But, what would we have done in their shoes? We don’t have to literally be in the garden to know what you would do. Just examine our behavior when we are under great pressure today and we will know what we would have done that night in the garden. What will you do when the going gets tough? If you are under great financial pressure and no one will know it if your business practices are dishonest – what will you do when the going gets tough? – yield to the temptation or seek God. If someone repeatedly hurts you with their words and you hear some dirt on them – what will you do when the going gets tough? Spread the gossip or listen closely to what the Spirit is saying to you. When you pray for your circumstances to improve and they don’t – what will. When you see the offering plate being passed toward you but you really want a new gadget and you can’t both give to the Lord and buy yourself the gadget – what will you do when the going gets tough? In the garden everyone deserted him and fled. What would you have done? Let’s look at the last verses in Mark — 19 After the Lord Jesus had spoken to them, he was taken up into heaven and he sat at the right hand of God. 20 Then the disciples went out and preached everywhere, and the Lord worked with them and confirmed his word by the signs that accompanied it. The disciples were living in fear and even the words of witness by Mary Magdalene and the two walking in the country — they were not convinced of the resurrection of Jesus. – It was only when Jesus appeared to them, were they convinced that he was the Risen One. Then their lives were permanently changed and the went forth the proclaim the Gospel and to share good news of the actions of God in raising Jesus. We too can experience the Risen Christ and have our lives changed. Following Jesus is not age dependent and it is not age exclusive. All of us can realize that we will not be like the disciples when they fled into the darkness out of fear. The movement of the Spirit can heal us in our fears and uncertainty in life. Give it a try! — continue to read the scriptures as you have been doing these past several weeks and pray that the Risen Christ will come into your lives in an exciting and healing way. This entry was posted in Sermons and tagged challenges, crisis, faith. Bookmark the permalink.